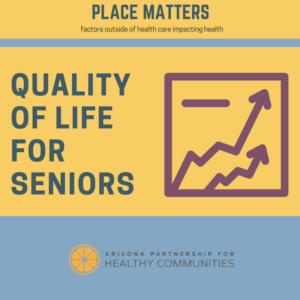 As part of our work to show how factors outside of health care impact health, we are launching our “Place Matters” series. In these papers, we will identify successful evidence-based practices for improving health outcomes and demonstrate how investing in healthy communities work can result in cost savings. Our first paper in this series, “Place Matters: The Intersection of Housing and Health,” examines the connections between housing and health. We also offer a set of solutions for improving health by investing in housing. This paper was updated in April 2018. Our health is inextricably tied to where we live. 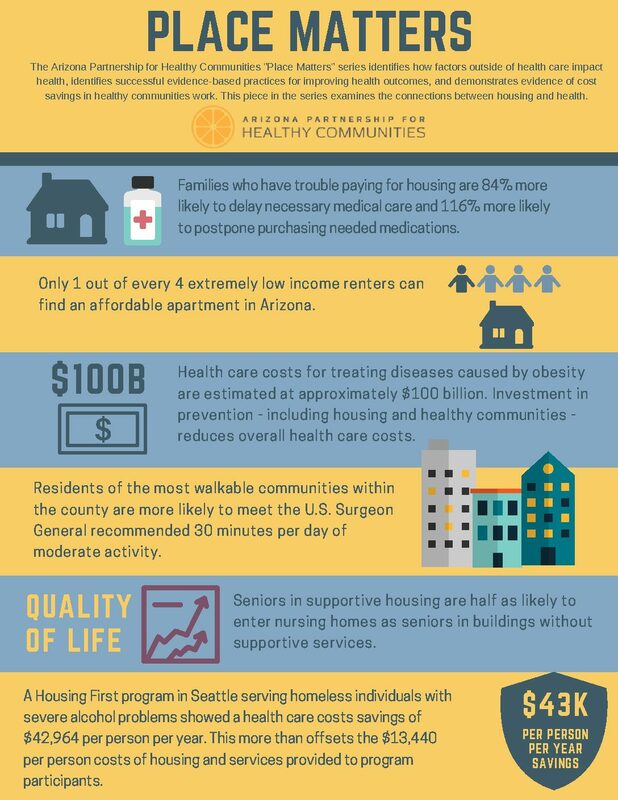 Having access to safe, stable, and affordable homes – particularly in communities with access to mass transit, parks, and healthy food – can lead to better physical and mental health and improve overall quality of life for Arizonans. 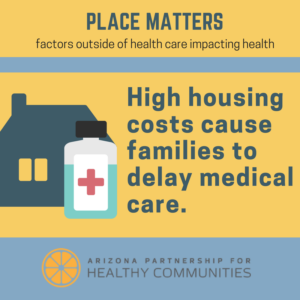 To read the entire report, download “Place Matters: The Intersection of Housing and Health” here. Families stretched to pay the rent often cut back on other necessities like health care and food. The lack of adequate low-cost housing causes families to live in overcrowded situations and in poor quality housing which leads to poor health. Families struggling to pay rent often move multiple times. This leads to greater stress levels and poorer health and education outcomes for children. Homelessness has an especially harmful impact on the health of young children. Health risks for newborns are increased when a mother is homeless, both before and after her child is born. Residents living near parks are much more likely to engage in regular physical activity. Mixed-use, transit-oriented development increases opportunities for walking and bicycling, transit ridership, and overall physical activity. Lack of access to healthy food also contributes to poor health. Supportive housing helps people with disabilities live stably in communities. People with disabilities in supportive housing reduce their use of costly systems. Seniors trying to age in place also benefit from supportive housing. 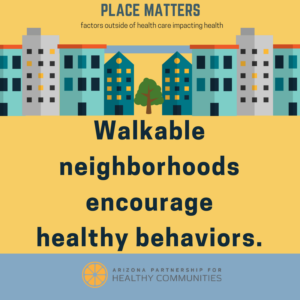 Download “Place Matters: The Intersection of Housing and Health” here.